Is Interest Deductible on Tax Penalties? If you are late paying your federal income taxes or are otherwise in violation of the US tax code, the Internal Revenue Service (IRS) may charge you a penalty in addition to any taxes you failed to pay. The IRS will also charge you interest as described in Tax Topic 653, on both taxes you didn't pay and on any penalties they tacked onto the bill. 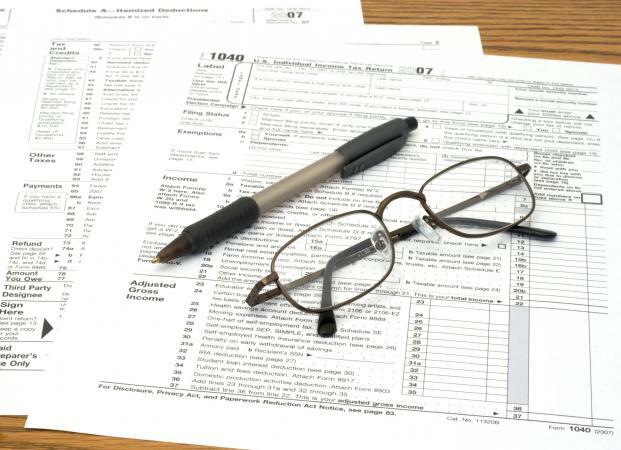 While some types of interest are indeed deductible, interest paid to the IRS is not. In fact, IRS Notice 746 states on page 4 that "Beginning with tax year 1991, you can no longer deduct interest you paid to the United States Treasury as an itemized deduction on your Form 1040, Schedule A." So, not only can you not deduct interest on tax penalties, you can't deduct any interest paid to the Treasury Department for any reason. Your state's Revenue Department may also charge penalties if you are late paying your state taxes or break any of their rules, such as failing to declare all your income. Many states charge interest on penalties and late tax payments, just as the IRS does. Check with your own state's Revenue Department to find their interest rates. While you can deduct any tax payments you make to your state from your federal tax return, you can't deduct either penalties or interest that you paid on those state taxes. The IRS believes that penalties and interest assessed for breaking local, state or federal laws should not be deductible because those fines are intended to discourage people from acting illegally. If taxpayers could deduct these fines, it would lessen their impact. If you do receive a penalty for breaking a tax law, either from the IRS or from your state Revenue Department, it's best to pay the fine immediately so that you won't be charged interest on it.